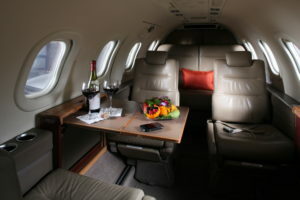 What Does A Private Jet Charter Cost? Air Charters consistently delivers competitive pricing on private jet rental services and we own and operate a large luxurious fleet of aircraft, offering you the lowest private jet charter rates in the New York and TEB areas. Whether your are travelling for business or pleasure, our affordable pricing options are tailored to suit your budget and travel needs. Hourly flight charter rates can vary depending on requests, so contact us directly to discuss your needs for an accurate and customizable private jet rental quote. Booking your private jet charter flights is easy. We like to keep our process simple and affordable. Having our own fleet based on the TEB airport premises allows us to offer you flexible on-demand first class travel and amenities without the hefty price tag of private jet charter costs. From meal preparation to car service arrangements, we’ve got your finishing touches covered and if there’s anything you want that you don’t see offered, just ask. Air Charters competitive pricing ensures you’re getting the best price available in the market for your private jet charter flight. Getting the flight you want, when you want, at the most affordable price, is easy. We are available 24/7 to expedite your requests and get your private jet hire quote to you as soon as possible. With Air Charters, you can book with confidence and be in the air in 2 hours or less. In addition to our own easily accessible fleet of aircraft, we also have immediate access to other fleets allowing us to accommodate any size, comfort, and distance requests- at competitive private jet charter rates. Give us your details and requirements, we will take care of the rest. Owning your own private jet is time consuming and expensive. We offer aircraft management services and take care of all the operations and logistics involved in owning your private jet. We also offer a charter revenue offset program enabling you to generate revenue while we take care of your plane. Contact us to discuss your aircraft management needs and lets discuss what will be suit your needs. Get Your Private Jet Charter Quote By Calling 201-288-9000.